JC's Dog Sitting Service in Moreno Valley CA releases 3 previously unpublished facts about its sneaky Dog Sitting service launch. Further information can be found at https://caringdogsitter.com. The idea for creating the Dog Sitting service came about. JC loves animals in particular dogs. He had a furry friend most of his life and learned how to take care of them. Helping some of his friends family, taking care of their dogs while they were gone, he realized he enjoys it so much, why not have more pet friends and help others at the same time…. The Dog Sitting service has been an idea that came alive in the last 6 months after dog sitting 2 beautiful female labs named Angelina and Millie. It was such a great experienced, that pushed the idea to become a reality. It really only took a couple of weeks to get things organized and settled, with the help of a dear friend and experienced pet sitter. After a silent launch, JC’s Dog Sitting Service’s greater plans are to become your number one option when it comes down to dog and pet sitting in Moreno Valley. This ambitious goal is hoped to be achieved within a year. JC’s Dog Sitting Service idea got it’s start when founder Johnny Chaname noticed a growing need for dog and pet sitting in the area. 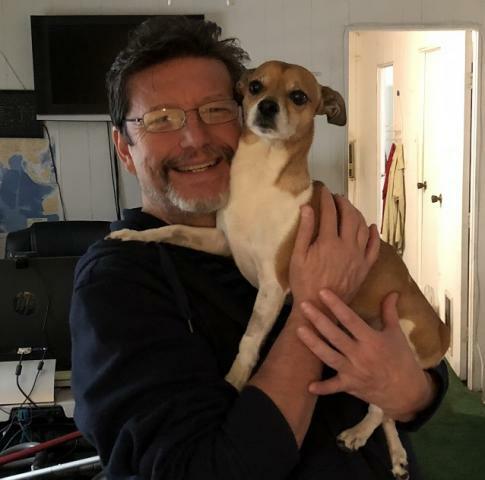 Pet owners looking for a reliable and trustworthy hand to take care of their furry friends while they are away for work or on vacation.. With many years of prior experience in the Dog Sitting world, Johnny Chaname decided to go ahead and start his dog sitting service early in 2019.